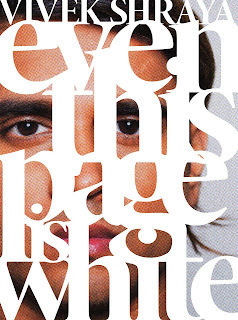 I've been thinking about Vivek Shraya's new book of poetry Even This Page Is White in the context of having read Claudia Rankine's Citizen. It's an over simplification to draw broad comparisons between these books, but they share a thematic concern about race, and they do so in ways that are original, timely, and without trying to fit into a canon. If you read Rankine's book and were compelled by it, then I urge you to get a copy of Shraya's book, too. Like Rankine's, it's a book that asks us to consider ourselves and our society in vital ways, and it is worth your time. Last weekend my poem "Grendel's Mother" was published in the Globe and Mail. You can read it here. 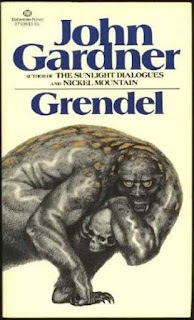 The poem is partly inspired by John Gardner's novel Grendel, a longtime favourite of mine. Telling the Beowulf story from the monster's point of view allows us to question the role of the monster in a narrative. I wanted to take that constructive revisionism one-step further and contemplate the mother's point of view. In Gardner's novel, Grendel's mother is a howling, mindless beast. In my poem, she is thoughtful and concerned about the mental state of her son.